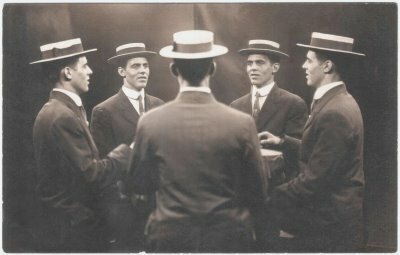 Men and hats. A fashion pairing for hundreds of years. 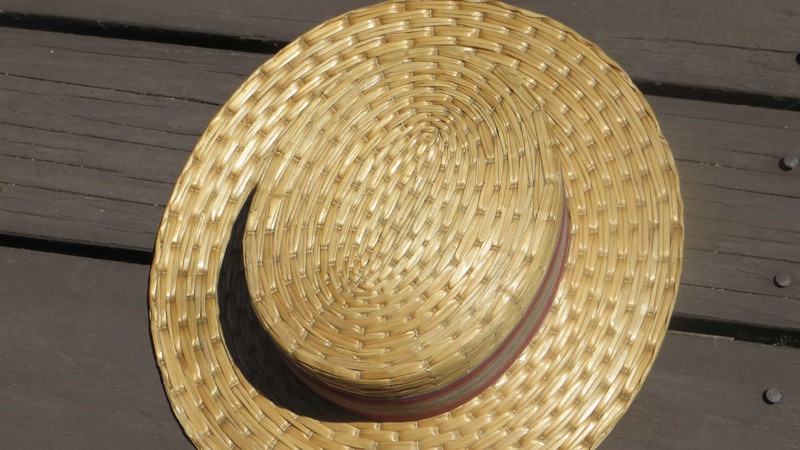 Many of us have heard about the popularity of straw hats at one time or another such as the 1920’s and 1930’s. 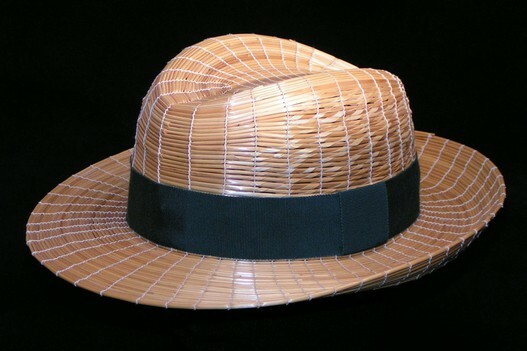 When men’s straw hats come to mind, rye straw is not the straw material first thought of. You might think of a straw boater, or a skimmer, or a hat worn by a member of a barbershop quartet. Look at the above photo closely and notice the hat is not straw plait (braid) that has been sewn together, but rather straw that is tied together. 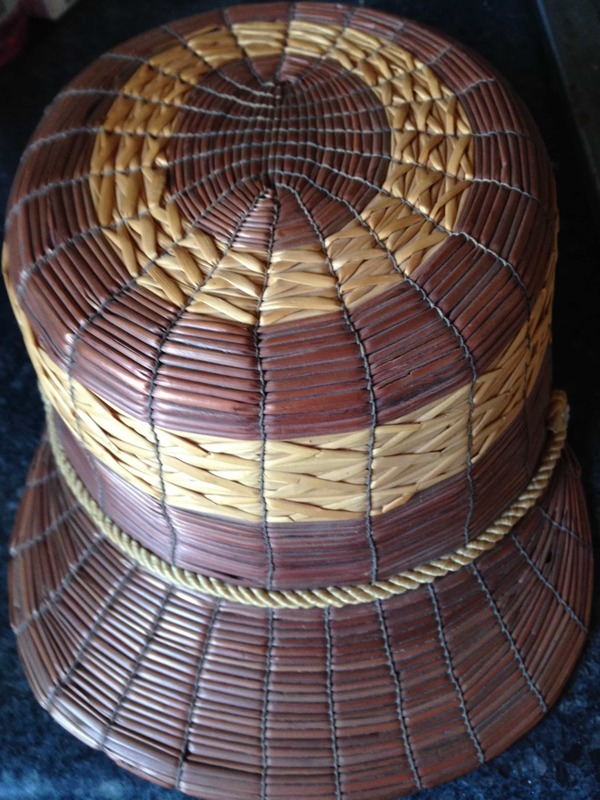 All the other hats shown above the knotted boater are plaited and sewn. 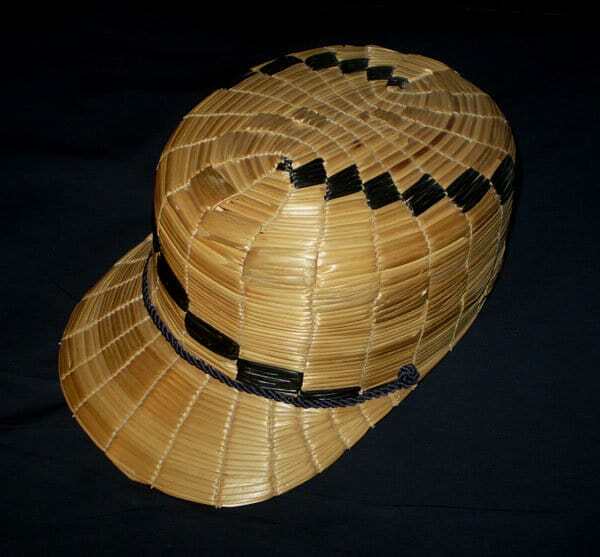 This style of knotted/tied hat has been made in various countries around the world. 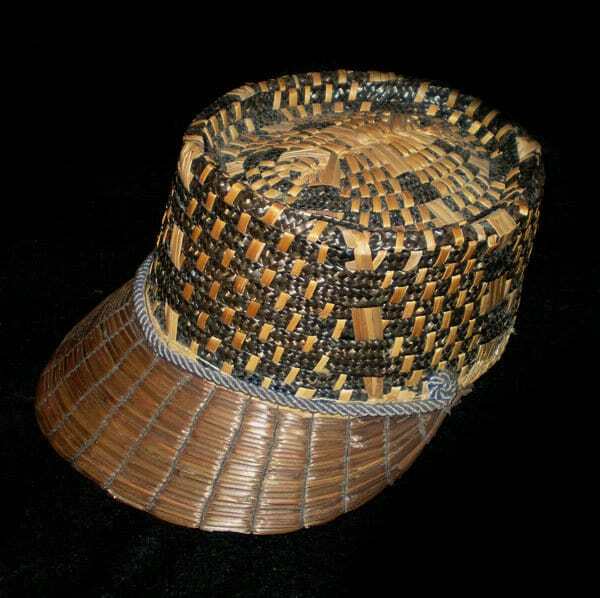 For example, a bathing hat made in the 1400s using this method originates from the Philippines. 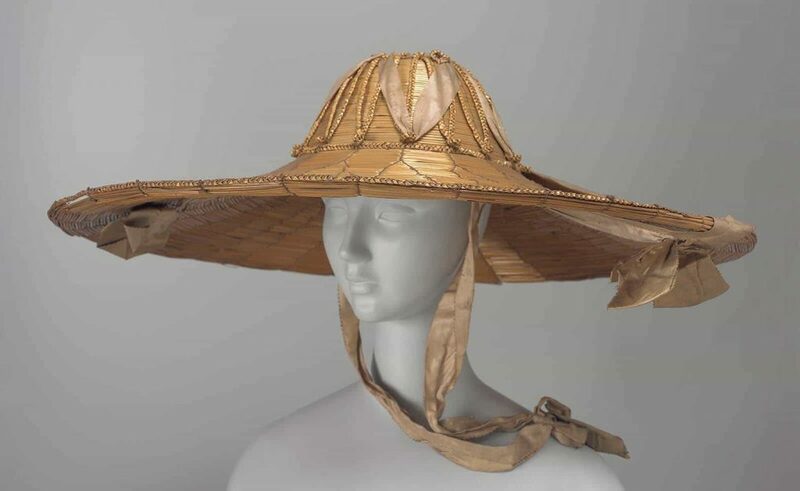 (The hat is supposed to be in the Ambraser Collection at the Kunsthistorischen Museum, Vienna). Another resource, a booklet (Bruggisser Centenary booklet 1812-1912) says that they were made on the Italian island of Ischia, (off the Bay of Naples) from where they were brought to Switzerland in the 1700s. The aforementioned booklet says they were popular and a large trade item particularly from 1892-1903, after which time production decreased. 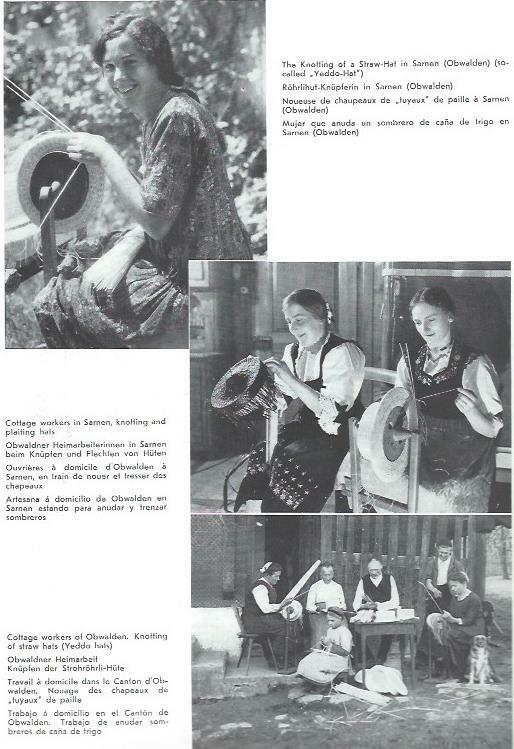 In Switzerland, knotted hats are called Röhrlihut. 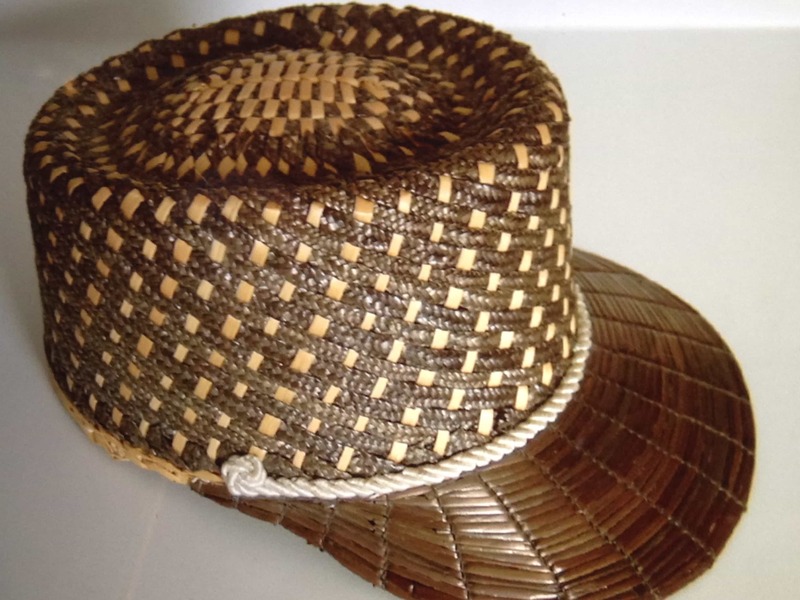 For export purposes , the knotted hats style was called “Yeddo” in English by the Swiss and Italian makers. Described on the bands or label as “Genuine Yeddo”. Why Yeddo? We simply do knot know why. 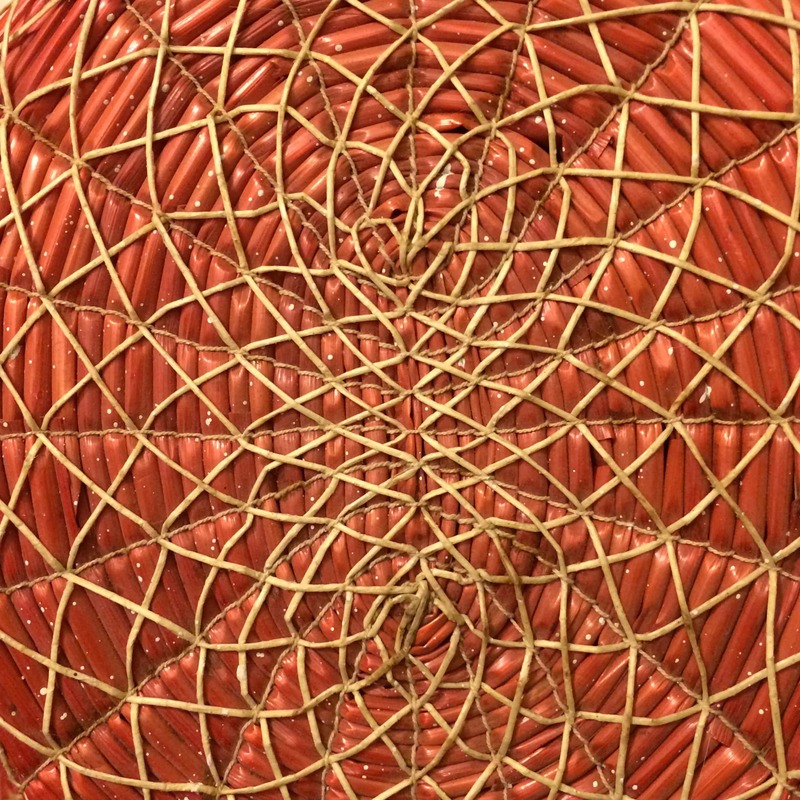 See the below gallery of examples of this fine straw art work generally overlooked and unappreciated for their craftsmanship in our opinion. The question is, how long were these hats made? This question truly is yet to be answered as one source say 1400’s while others cite 1800s. Statistics from 1923 and 1924 one Swiss company, Fischer and Son, said it produced 50,000 hats. In 1926-1927, 450,000 hats were produced and by 1928-1930 the number of hats produced was reduced to 100,000. The biggest production centers for these hats were Switzerland and Italy. Most of the produced hats were exported to the United States. 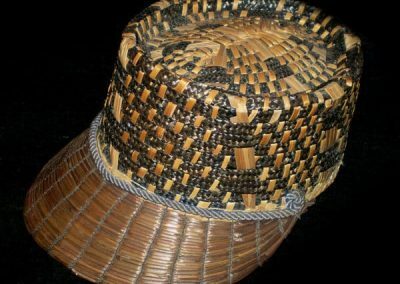 By the end of the 1930s Yeddo straw hats had fallen out of style and as fashion dictates, hats were produced of other materials. Though no longer mass produced in either Switzerland or Italy the technique is still produced in Spain, principally for children’s hats. Interestingly, Yeddo hats were made for everyone-men, women and children. 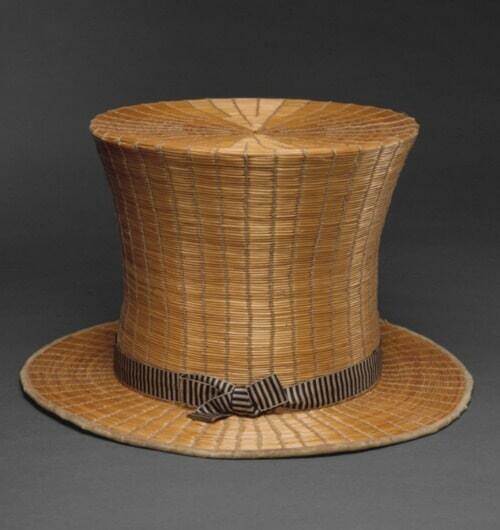 Once the hats were exported, various hat companies would decorate some of the hats and/or affix their own labels. 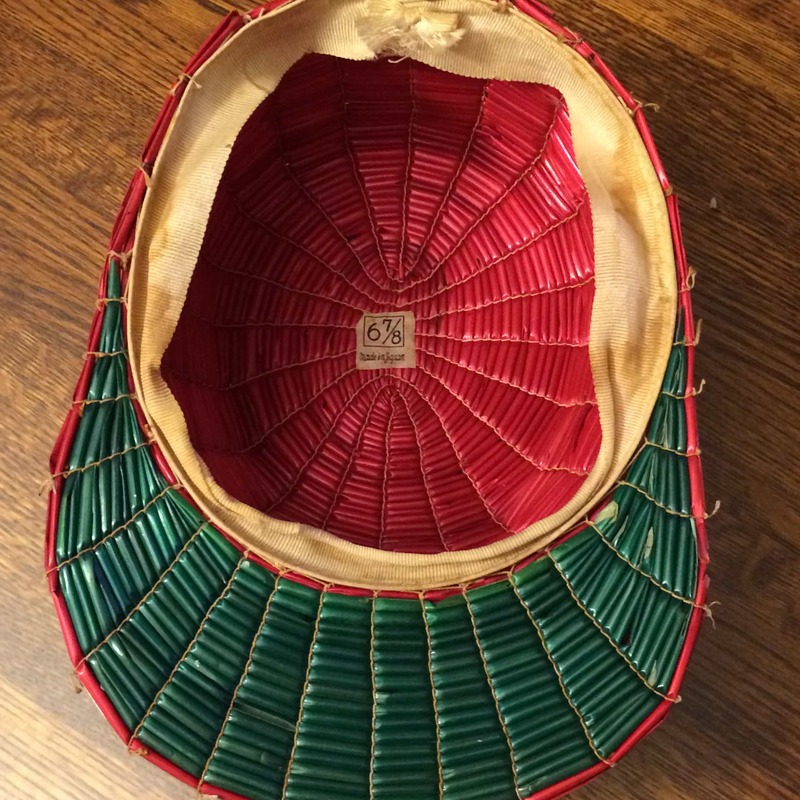 The hat to the below is an example of a later “decorated” hat. Interestingly the later attached flower and threads are mainly made of plant materials. 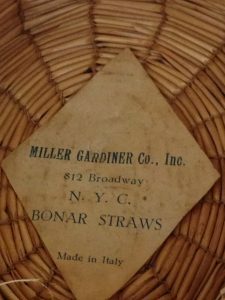 Sold by the Miller Gardiner Company, New York City, the flower, made from a palm type plant was sewn onto the hat, a tassel of colored straw strands finished the look. 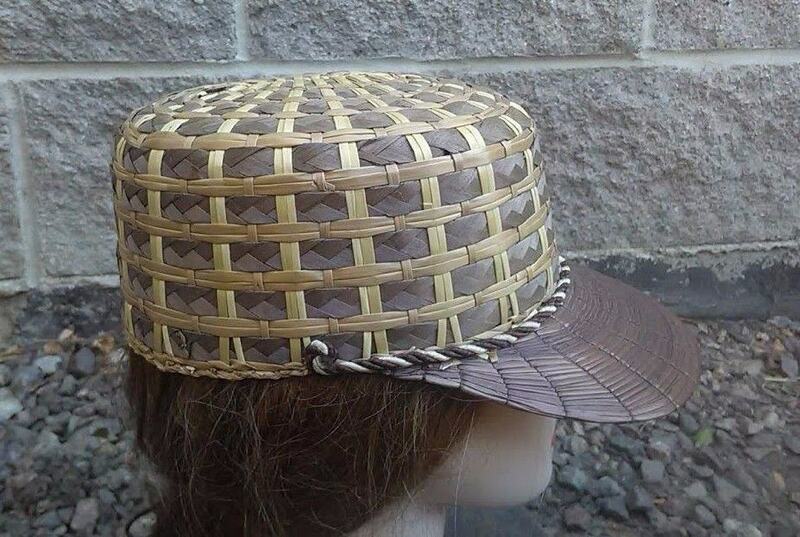 The company also added a chin strap to this hat. 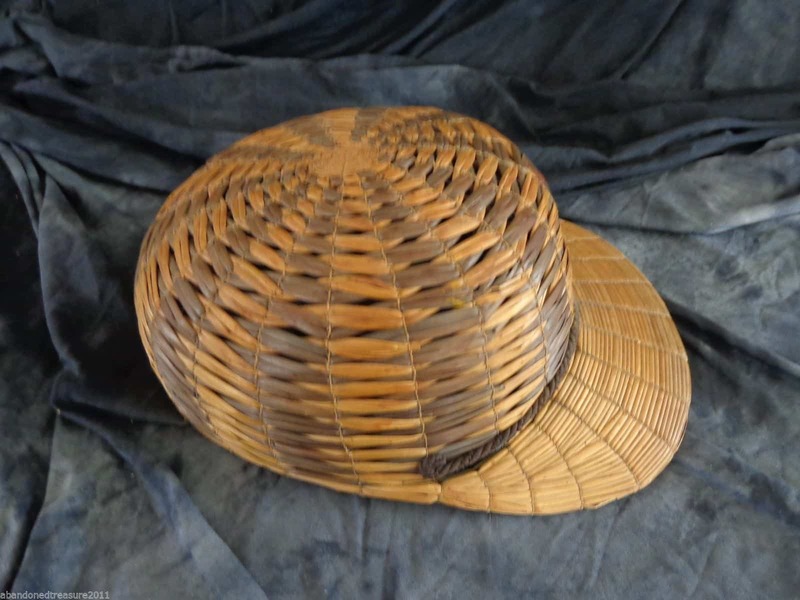 In our research, we further discovered yet another style of straw hat completely made by hand also identified as “Genuine Yeddo”. The crowns on the above hats are unlike any of the other “Genuine Yeddo”crown shapes. 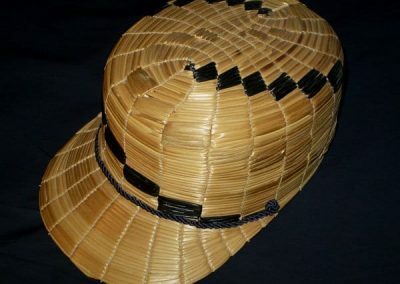 All four hats above are woven and knotted Italian hats labeled “Genuine Yeddo” just as the completely tied whole straw hats the Italians produced. 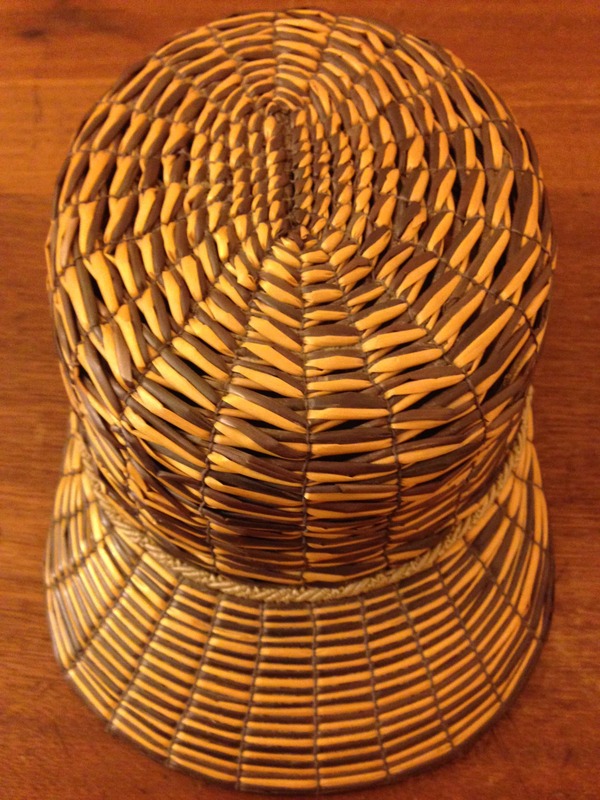 We believe the plaited and woven “Genuine Yeddo” hats were made only by the Italians. 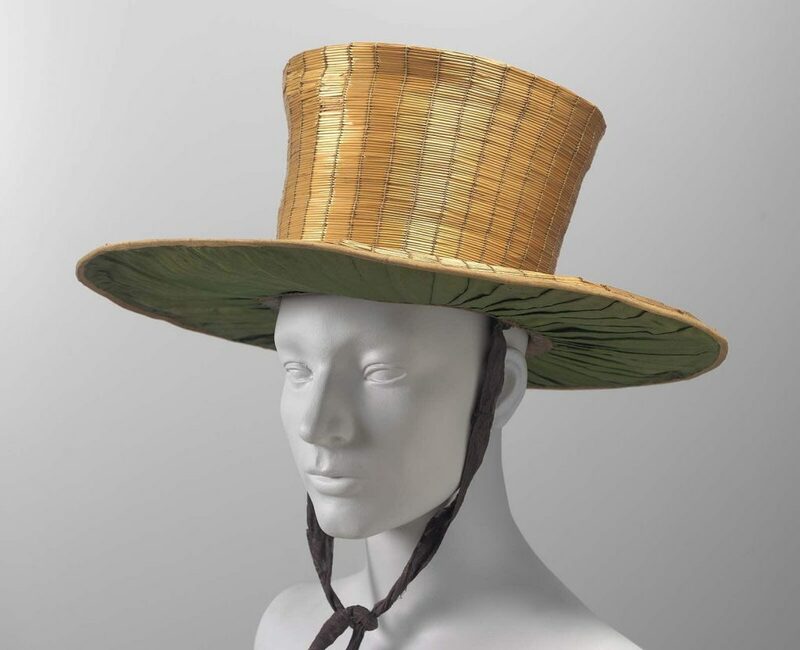 Recently discovering yet another plant woven hat called “Genuine Yeddo.” Look at the construction- the brim is certainly knotted but the balance of the hat has no visible ties. 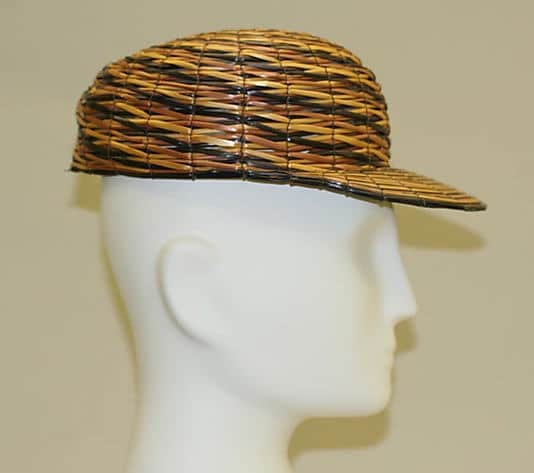 Could the label “Genuine Yeddo” describe hats of these styles completely handmade of natural(plant) straw for export? We have found one common characteristic with almost every complete “Genuine Yeddo” cap we have seen. 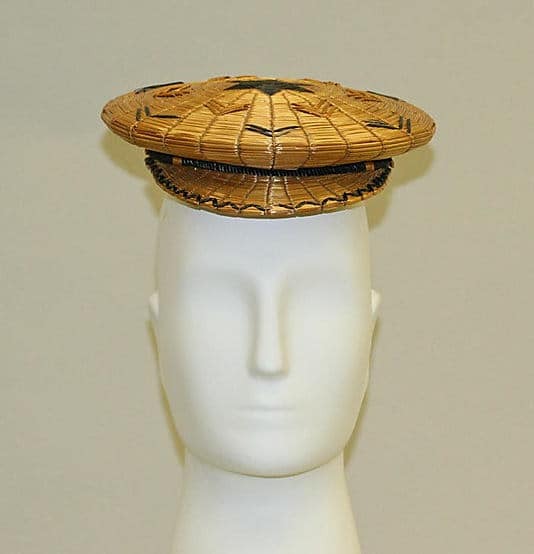 This feature does not appear on the boater styled tied hats. It appears on the cap styles. 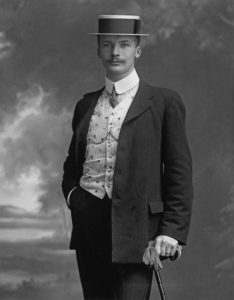 On the caps, whether Italian or Swiss, whether completely knotted or plaited and knotted, there is a decorative cord at the base of the crown of the hat where it meets the brim. Colors may change but there is always a curled end to the cord. 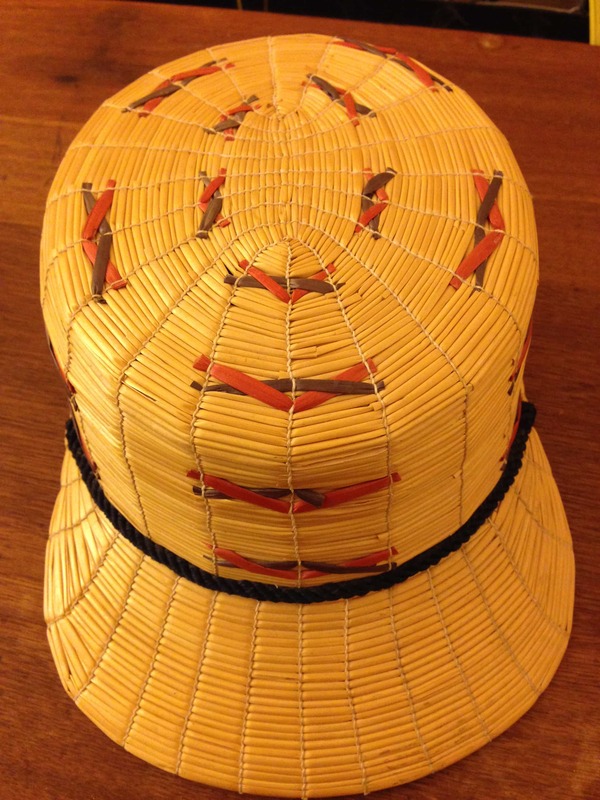 The cording on the “Genuine Yeddo ” hats may only mimic the ribbon hatbands of the day on a smaller scale. 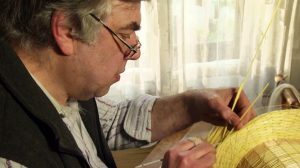 The Straw Shop is aware of a few artisans keeping this method alive today are all Swiss: Otilla Leeman, Kurt Wismer and Geopf Kaufmann. 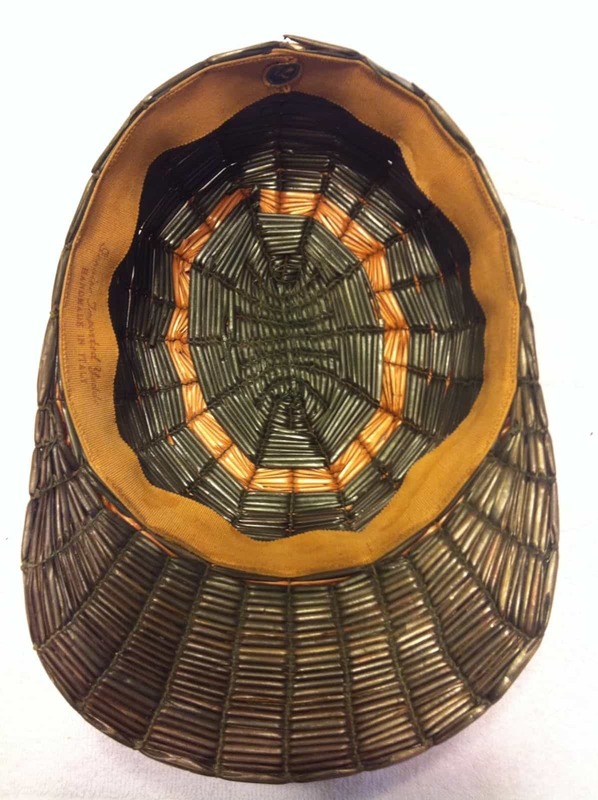 Another tied straw hat by Otilla Leeman. Mr. Kurt Wismer, Switzerland, left, is still actively producing this style of hat and is among the last tied straw hat professionals today. 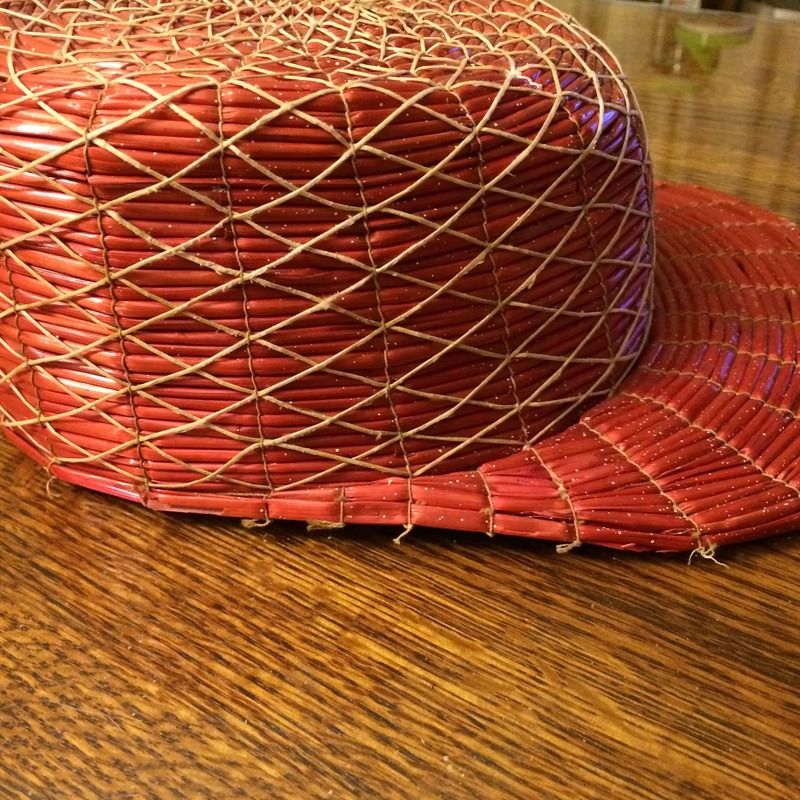 He spends a day to make one of these tied hats using waxed thread. Here is a link to view. 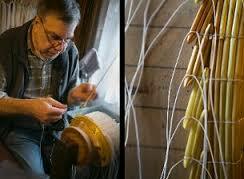 It takes him up to 15 hours to make a classic knotted hat. The crown alone takes two hours. For this he uses locally grown wheat straw. 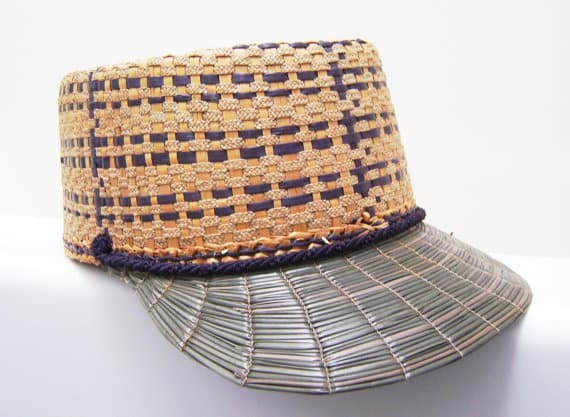 The hats are made from whole straws. 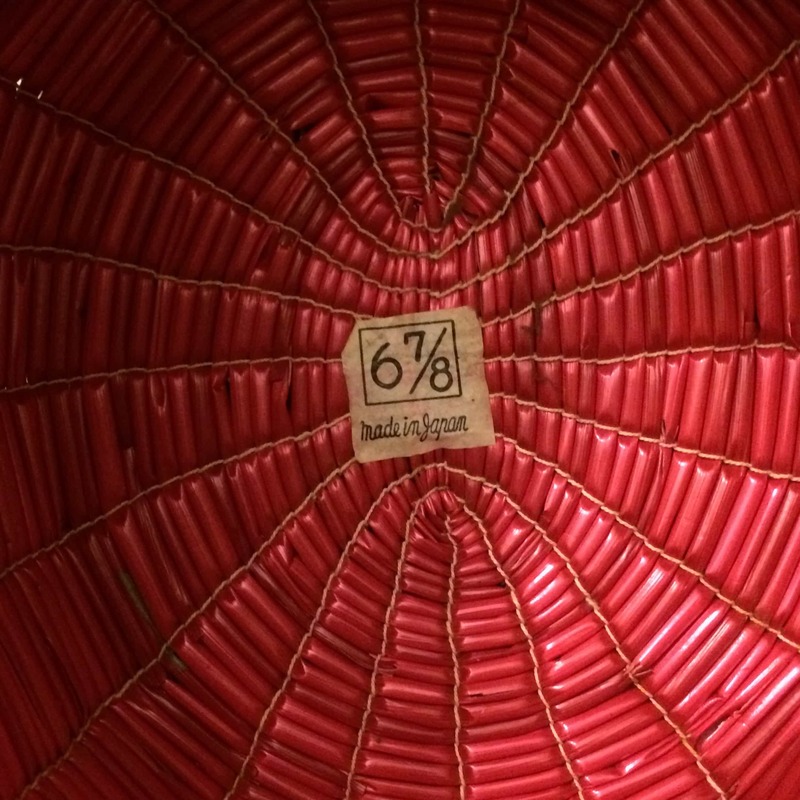 More expensive models are made with rye straw. He cuts, dries and sorts the raw material himself. There a few videos on the internet that provide even more information, however, we are unable to download them for you, but are certainly worth a look! 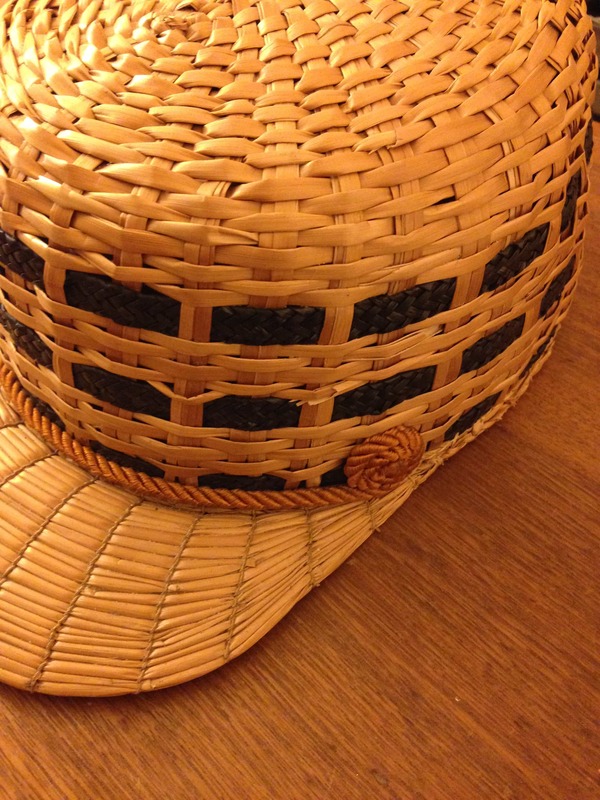 According to Mr. Wismer there are two types of straw hats. 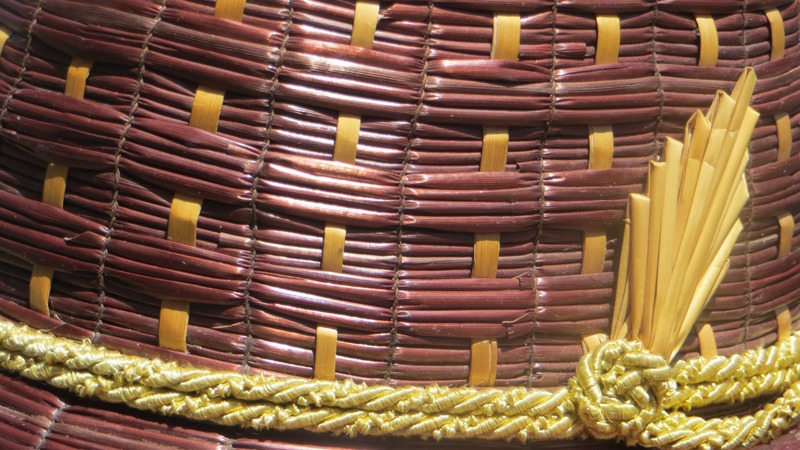 Those that are stitched together (are called Bändelihut: The straws are flattened and sewn hats, and those that are hand knotted (are called Röhrlihut. The straws remain intact and are tied together.) 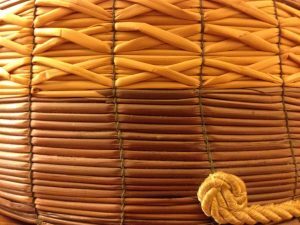 The knotted Röhrlihut hats were once exported as “Genuine Yeddo” (in English) and could comprise of 2400 or more knots per hat. This yet another fine example from the The Elizabeth Day McCormick Collection,Courtesy Museum of Fine Arts Boston. 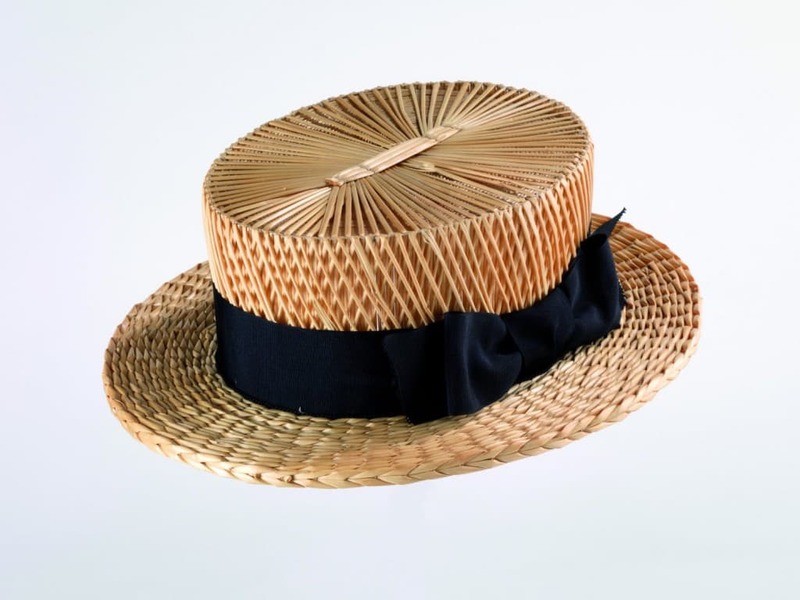 We are not certain about the origin this wonderful top hat, other than it is another example of knotted straw hat work. 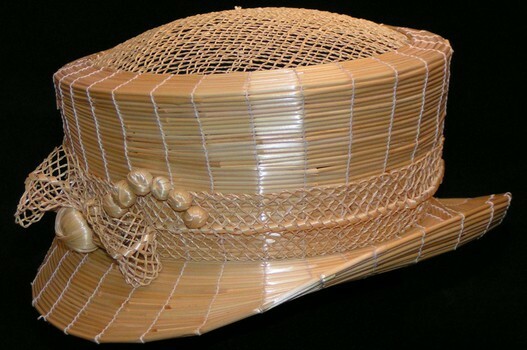 There is yet another style of whole straw tied hats called Straw bourrelet . 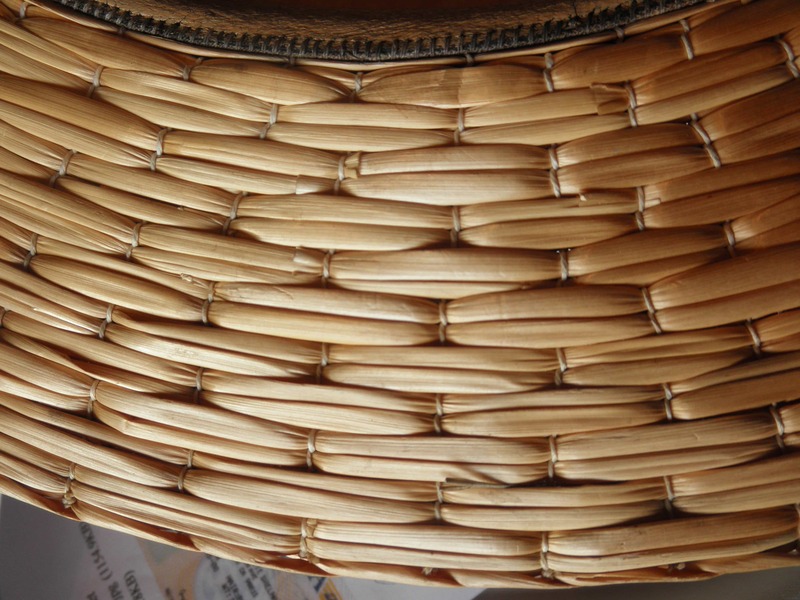 If this tied and knotted method is of interest to you we have rye straw to satisfy your curiosity. One last thing to say – Yeddo hats are not to be confused with Yedda. 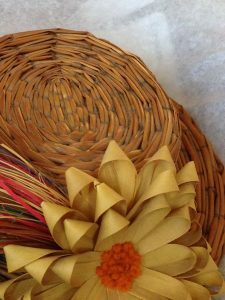 Yedda is a plant material that is plaited or woven to make hats. 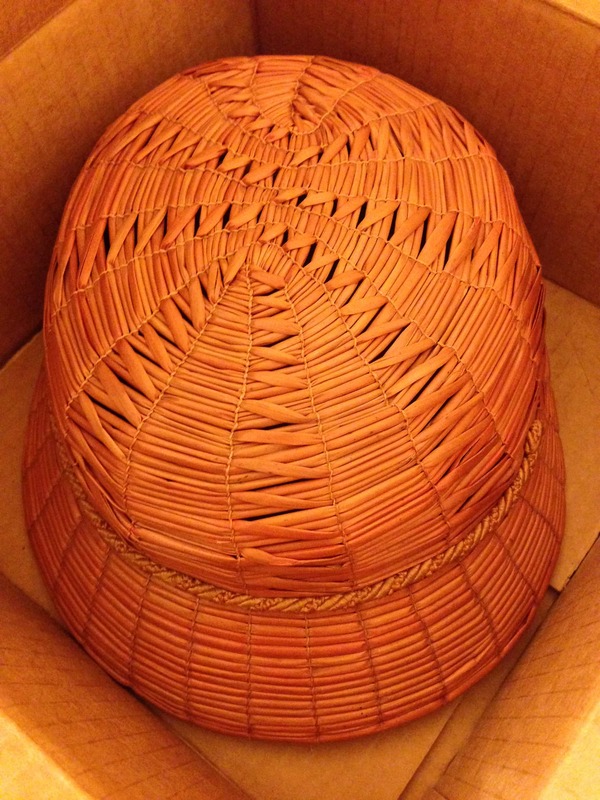 We believe this Yedda material may in fact be the material used on the Japanese Yeddo Hat shown below. 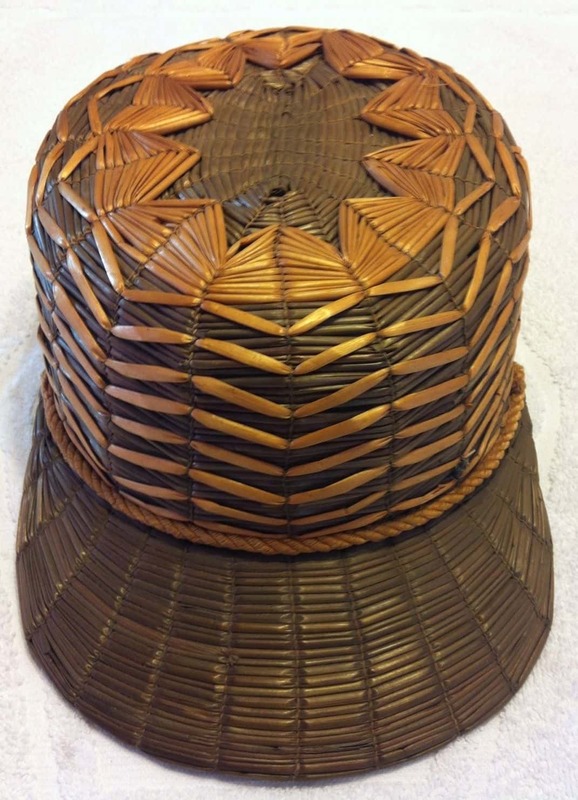 This hat has seen paint and is currently being restored. 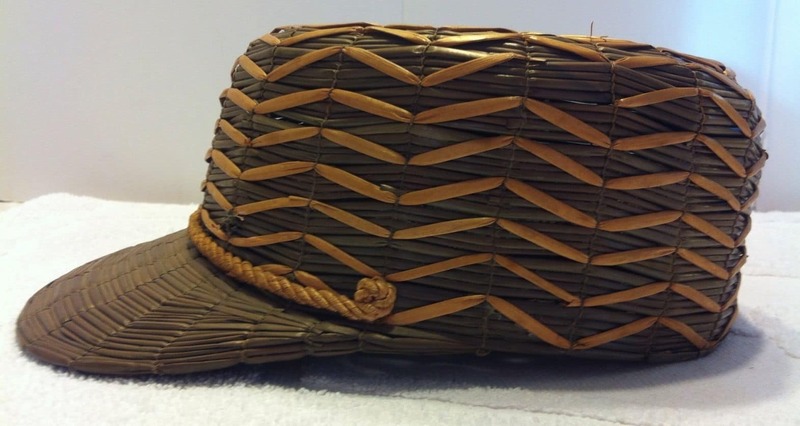 Despite it’s condition The Straw Shop thought it an interesting Japanese hat to show you. 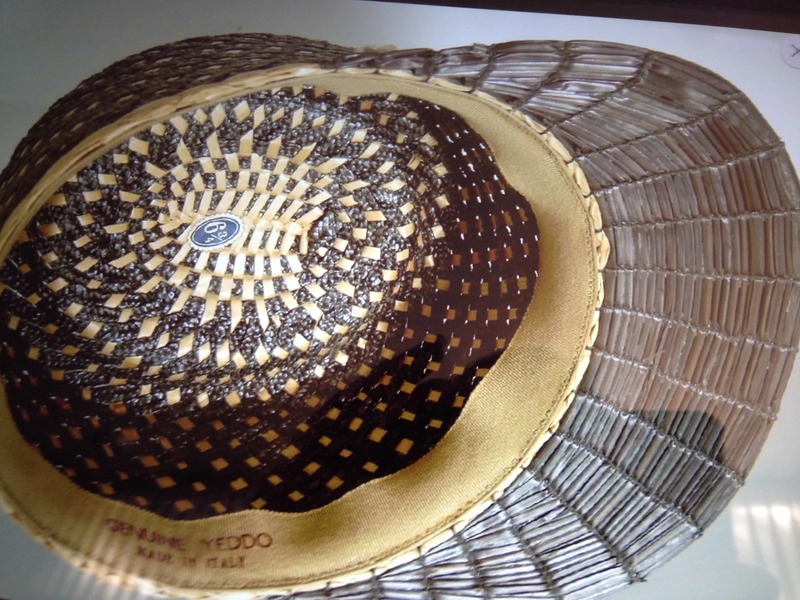 In summary, Genuine Yeddo appears to be a name referring to hand knotted and tied natural straw hats made of either wheat or rye stalks, previously produced and exported by Switzerland and Italy and Japan. 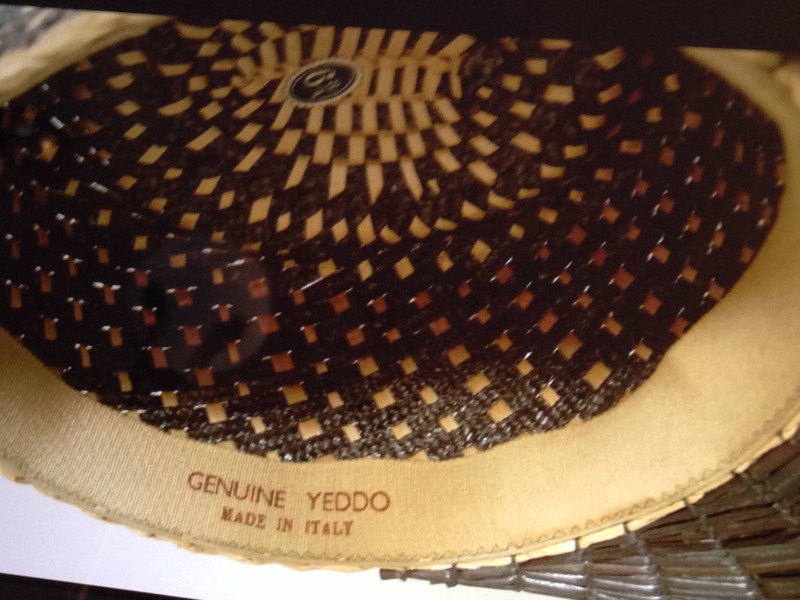 Italy also exported Genuine Yeddo hats that included hand plaited styles. None of the Genuine Yeddo hats are machine sewn in their construction.